Chris Wedes played J.P. Patches on Channel 11 until 1958 when he moved to Seattle, WA. J.P. Patches became a hit show throughout the Northwest, running until 1981. Over the years, J.P. Patches promoted many products including Adams Peanut Butter. 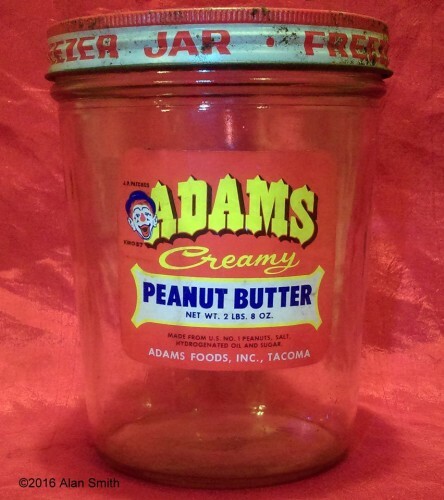 This rare jar featured J.P. on the label and probably dates to the early 1960’s. Thanks to Alan Smith for sharing!